The EU27 insist on “intensified efforts” in Brexit talks as the PM is told “this is the last call to lay the cards on the table”. EU leaders took “less than a minute” to confirm their stance on Brexit negotiations, as the bloc’s member states demanded clarity from Theresa May. After all-night talks on migration, EU heads of government were revealed to have taken less than 60 seconds to approve their joint approach on the UK’s exit when they reconvened on Friday morning. 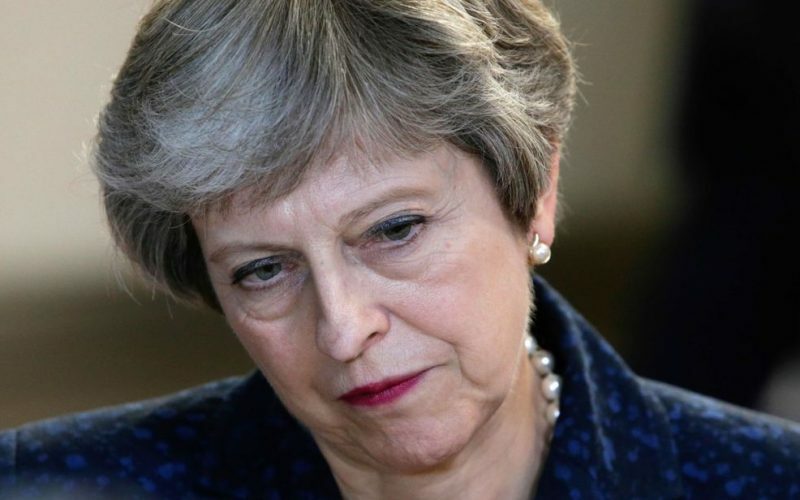 They continue to wait on Mrs May to reveal more detailed plans, with EU leaders expressing their impatience at the delay as the prime minister battles for an agreement among her warring ministers. Malta’s prime minister Joseph Muscat suggested the quick decision on Brexit showed the “EU can still work together”, following the divisions over migration that dogged Thursday night’s marathon discussions at a European Council summit in Brussels. Speaking after the summit, European Council president Donald Tusk warned Mrs May “this is the last call to lay the cards on the table”. “There’s a great deal of work ahead and the most difficult tasks are still unresolved,” he said. French President Emmanuel Macron said the EU “can no longer wait”, while German Chancellor Angela Merkel said “time is of the essence”. In the remaining 27 EU member states’ joint conclusions on Brexit, agreed in Mrs May’s absence on Friday morning, the bloc expressed its concern that “no substantial progress” has yet been achieved on a backstop solution for the Irish border. The prime minister has rejected the EU’s plan for preventing a hard border on the island of Ireland, in the event it is not avoided in the terms of a future EU-UK relationship, while the bloc has responded coolly to the prime minister’s recent counter-offer. In their conclusions, EU leaders said the European Council “insists on the need for intensified efforts” so the UK’s withdrawal agreement – including Irish border solutions – can be concluded in time for Britain’s departure in nine months’ time. Among other outstanding issues on the UK’s withdrawal agreement, EU leaders welcomed “further progress” but noted the application of the deal to Gibraltar “still needs to be agreed”. The bloc agreed “work must also be accelerated” on the future UK-EU relationship, with Brussels waiting on the prime minister to set out her detailed plans. “This requires further clarity as well as realistic and workable proposals from the UK as regards its position on the future relationship,” the EU leaders stated. They also repeated an offer that, if Mrs May ditches her Brexit red lines on the single market, customs union and European Court of Justice, they will “be prepared to reconsider” their offer on a future relationship. The prime minister used the time she was allowed at the summit’s working dinner on Thursday, before talks turned to migration, to make a plea to EU leaders to consider the safety of their citizens amid intransigence by Brussels officials on future security co-operation. However, Irish Prime Minister Leo Varadkar raised doubt over how forcefully Mrs May had been able to make her point. On his arrival at the European Council summit to brief EU leaders on Friday morning, the bloc’s chief Brexit negotiator Michel Barnier warned “time is very short” to conclude a Brexit deal and that a “huge and serious” gap remains between the EU and UK, in particular on the Irish border issue. He said: “We have made progress but huge and serious divergence remains, in particular on Ireland and Northern Ireland. “After Brexit the EU wants an EU-UK ambitious partnership, on trade as well as on security. Mr Barnier added he was waiting on Mrs May’s promise to publish a white paper on her detailed Brexit plans on 9 July. Its publication will follow a showdown of the prime minister’s divided cabinet ministers at her Chequers country retreat next week.